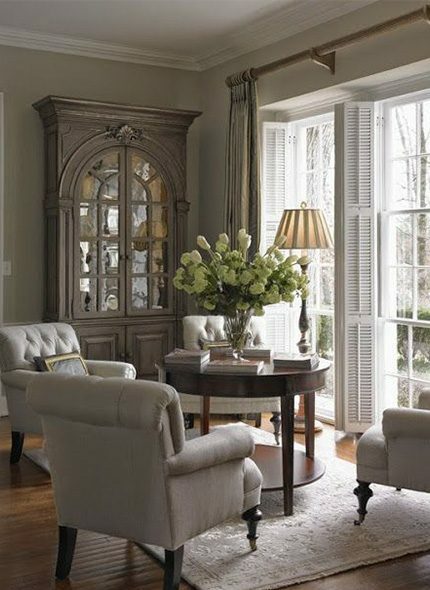 Defined by carved detailing and pale finishes, our French country style will bring an elegant air to your home whether you live in Paris or Portsmouth. Quietly opulent shapes with a nod to the Palace of Versailles are complemented by a muted palette and penchant for a white wash. 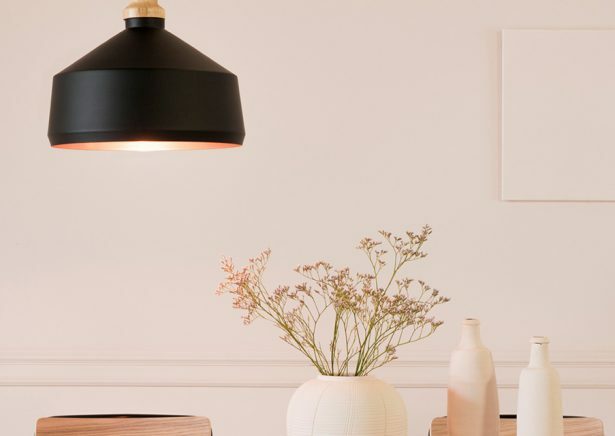 Think feminine, elegant and cosy – take a look at our edit to see how to work this style throughout your home. 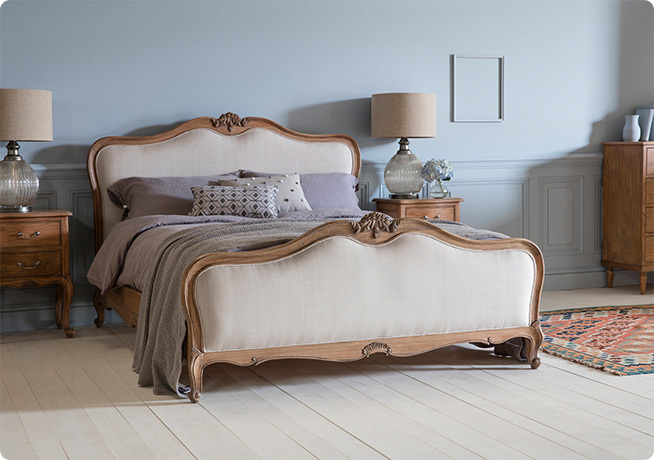 Embrace your inner princess, with our Botticelli bed (£1,850) we love the beautiful chalky finish and neutral linen upholstery. For those tempted to make a more masculine statement in the bedroom, check out our weathered wood version. 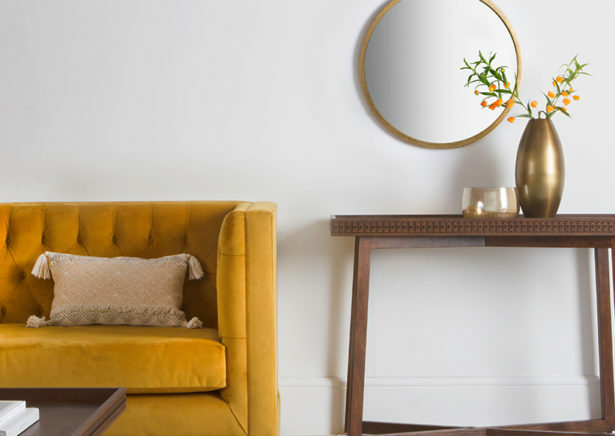 Our Simon loveseat Simon Loveseat in Venus de Milo (£1030) is ready for your next salon – or a night with Netflix. A more minimal take on classic French style, its fabric is reminiscent of aged plaster walls in a chateau. A sophisticated fireside companion if ever we saw one. 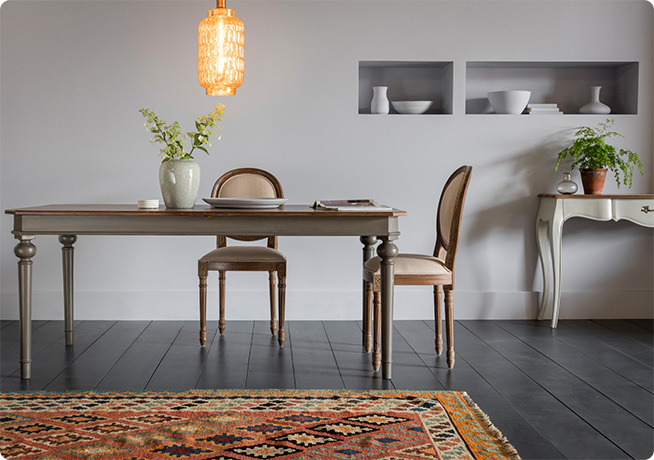 The perfect pairing with your banqueting table, our Ethel dining chair (£195) features a circular upholstered back and classically carved legs. You might want to dress for dinner. Feasting French style just got easier. 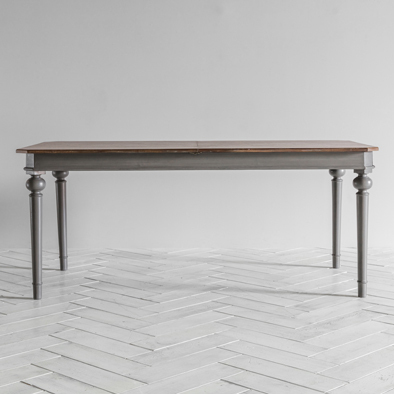 Our Noémie extendable table (£770) is both a stylish anchor for your dining space and can accommodate unexpected guests. This bold charcoal version gives it bonus cool points. 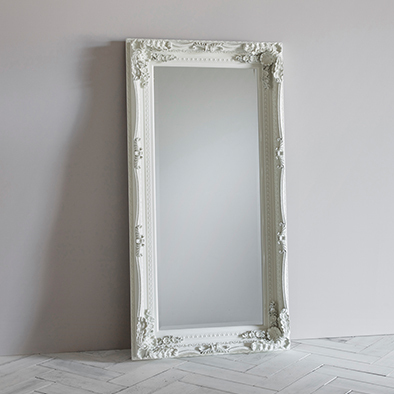 Finding the right balance between simple and ornate, our Edith mirror’s (£240) intricate detailing is finished in a soft white that makes sure it doesn’t overwhelm your walls. 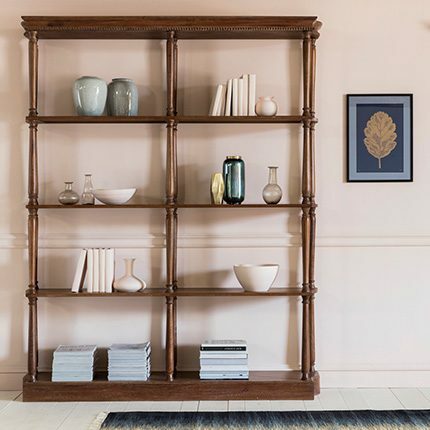 An elegant way to show off, our Harper shelving unit (£750) is carved from weathered wood with elegant details and generous proportions. Fill with family heirlooms or your kids’ latest school craft projects. 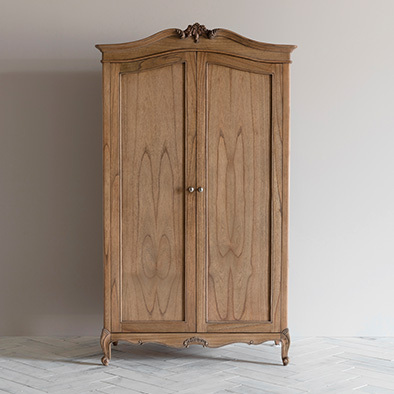 A classic French style wardrobe, Chantelle’s (£1,350) curvaceous carvings make it a French style bedroom must-have. Ball gowns and bustiers are not essential. 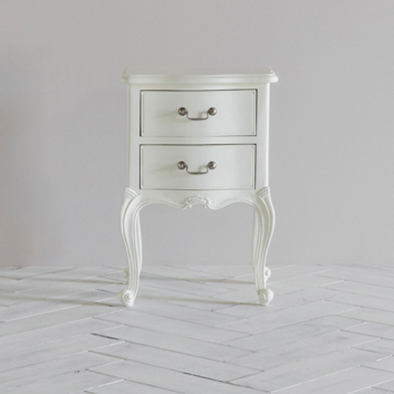 Round off your beautiful boudoir with our Beatrice bedside table (£290). Sweet dreams. 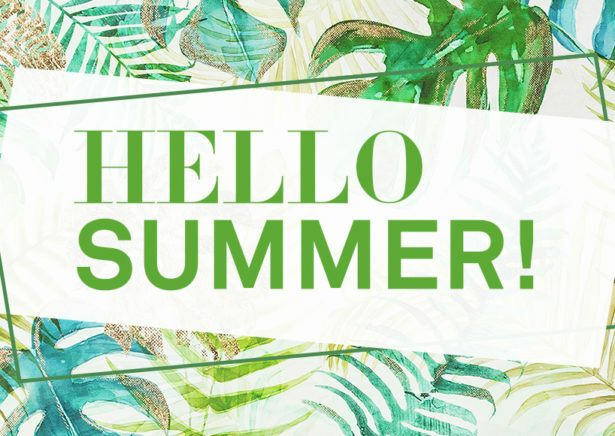 For more French style pieces, take a look here.